For the majority of backwards compatible Xbox 360 games, running them on the Xbox One as compared to their native system shouldn't be any different. A few will likely suffer. A few games, though, will actually see an improvement. Kotaku noticed that Mass Effect seemed to run better on the Xbox One, with significantly faster loading textures, back in June. 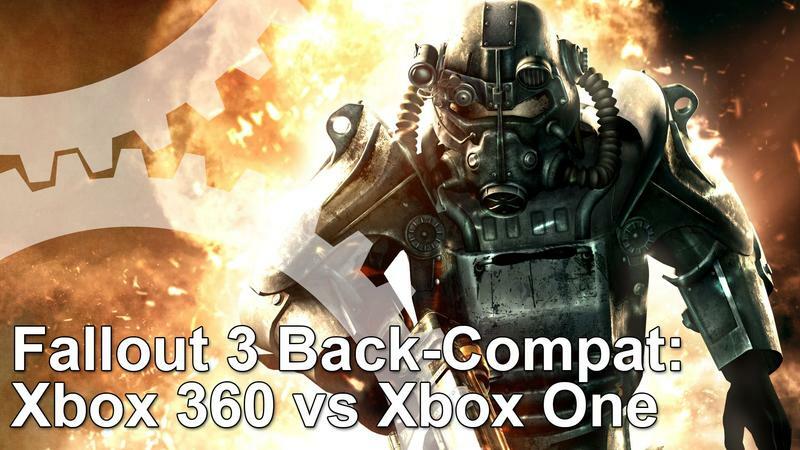 With the feature officially unveiled, Eurogamer's Digital Foundry took a look at another huge game, Fallout 3, which is sure to be one of the most closely scrutinized thanks to its inclusion as a bonus for buying Fallout 4 for Xbox One. Digital Foundry studied the game over a few hours of play and found that the game sports far less stuttering than it did on the Xbox 360 and holds its framerate more steadily than many other games. They also got the skinny on just how the process of bringing games across works. In short, the Xbox team is recompiling the original game executable files, built for the Xbox 360's Power PC architecture, for use on the Xbox One's x64 architecture. Aside from the licensing, which requires that publishers give permissions to make the games available, this explains in part why not all games are immediately available. It also explains why putting a game disc in forces a full download of the game off Microsoft's servers rather than off disc. I suppose it just makes sense that Fallout, of all games, would be able to adapt to a strange new world while others struggle.